This is just to get this topic started. One of my friends told me about NET cancer. We may soon have a separate topic on that. Thanks for posting this Barb. 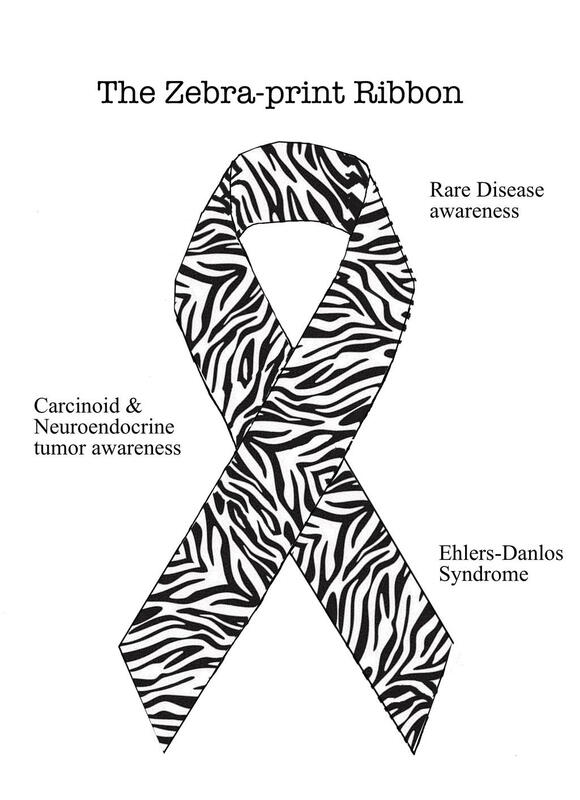 The zebra stripes are unique to NET cancer. They refer to the idea that "When you hear hoofbeats you think of horses. But it could be a zebra." In other words, think outside the paradigm. NET stands for "Neuroendocrine tumor", or carcinoid, cancer. It is a rare cancer that is slow going, of unknown origin, and for which there is no cure. Traditional chemotherapy does not work on it so there is no research money being put toward finding a cure. Surgery is the only option to lessen the tumor burden on the body. In some cases though that also involves removing organs or tissue that is not involved in the cancer such as when one or more tumors are strangling blood vessels cutting off blood flow to an area of the body. Many people suffering from IBS, gluten sensitivity, Crohn's disease, and other digestive system disorders may in fact have NET as it is often mis diagnosed. The delay in diagnosis means many patients the cancer has spread from the primary to their liver and are so well dispersed throughout the body in minute size that it is considered Stage IV (end stage). A CT scan with a specific nuclear tracer, repeated over 3 days, will show the NET whereas it won't show up on other types of scans, making it tough to even notice. Pancreatic cancer is a NET, as are some lung cancers. The most common area is the digestive system. NET is a disorder of the endocrine system so the entire hormonal network is involved. Many common foods trigger symptoms which are flushing, nausea, abdominal distress, fatigue to varying degrees. Foods such as pineapple, avocados and bananas bring on the symptoms. Many other foods can also to lesser extent such as chocolate and coffee. Mayo Clinic in Rochester MN is one of the few medical centers in the US with a NET specialist. MN also has an NET support group, still a rare thing today. Interestingly Louisiana has many NET specialists and medical centers. Perhaps being the center of the petrochemical industry may be the reason. Sandostatin (octreotide) is an artificial hormonal material similar to what the body makes naturally, which is given as an injection to moderate NET symptoms, especially in Stage IV when the NET is widespread in minute tumors. Injections are given every 28 days. A typical Sandostatin injection of 30mg emulsion costs about $16,800. For patients facing a diagnosis of life-threatening cancer, the recommended cure can often be as potentially harmful to health as the disease itself. But for many of these patients, scientific research shows a natural treatment using grape seed extract may hold the key to slowing the growth of cancer cells without the dangerous and deadly side effects of chemotherapy and radiation. In fact, some of the very traits that allow certain cancer cells to resist traditional therapies may make them particularly susceptible to treatment using natural grape seed extract. In fact, findings suggest that the benefits grow with more advanced stages of cancer. This is not wishful thinking: grape seed extract benefits hold clinical significance. Unfortunately, cancer patients are often pushed to begin radical and invasive procedures – including surgery, radiation and chemotherapy – immediately following a diagnosis of cancer. And, sadly, fear tactics are often used to rush people into risky (ineffective) procedures – which are known to cause secondary cancers later in life. To be perfectly clear, although a majority of healthcare providers tout the “importance” of conventional care, there is little evidence that undergoing these harmful procedures can actually halt or even slow the progression of cancer cells. In fact, a study published back in 2003 showed that chemotherapy was ineffective a startling 97 percent of the time. Later studies found that chemotherapy caused critical damage to the DNA of healthy cells and that some cancer-treatment drugs actually caused cancer tumors to grow, sometimes at an alarming rate. Despite the growing mountain of evidence, the mainstream medical community continues to push chemotherapy and radiation as the only hope for cancer patients. Let’s face the truth: There is substantial evidence that cancer patients suffer greatly when undergoing these treatments, including increased incidence of organ damage, premature aging, sexual dysfunction, neuropathy, cancer recurrence and secondary cancers, dental problems, diabetes, endocrine changes, fatigue, hypothyroidism, memory loss and incontinence, among other conditions. By contrast, there is no evidence of harmful side effects from the use of grape seed extract. Of course, the obvious must be said, grape seed extract should never be considered the ‘only way’ to treat cancer. To successfully overcome a cancer diagnosis – one must develop a comprehensive approach to remove unwanted toxins, nourish the body with high-quality nutrients and, of course, address any other physical, mental or emotional issues such as dental problems, systemic infections or chronic issues of anger. In the journal Cancer Letters, a December 2012 article uncovered that grape seed extract was effective against colorectal cancer in experiments using cultured cancer cells. It also noted that grape seed extract benefits increased with the higher stages of cancer. Parsley is often used as a decorative garnish, but it may be the world’s most underappreciated herb. When you understand the amazing health and healing potential of this vibrant, curly green, you’ll realize it’s a lot more than a decoration. Apigenin, a compound found in parsley, has repeatedly been found to have strong anti-cancer properties. In fact, more than 600 PubMed-indexed journal articles relate to the compound’s role in cancer. In research published September 2015 in Oncotarget, scientists for the first time were able to identify how apigenin is able to effectively slow down or stop an undesirable enzyme called IKKA, which plays a role in cancer progression. Their conclusion? Apigenin has the potential to significantly reduce cancer progression. The researchers also showed how, in mice, apigenin stops tumor growth and lowers the growth rate of dangerous cancer cells. • A 2008 clinical trial used apigenin, along with green tea, to great success in reducing the rate of cancer in patients with colon cancer. • A 2012 study at the University of Missouri found that apigenin was able to effectively treat breast cancer. • A 2013 study in PubMed.gov found that apigenin killed up to 86 percent of lung cancer cells in vitro. Dried parsley — with 13,000 mg per 100 grams — is one of the most abundant sources of apigenin. On the other hand, fresh parsley has a good amount as well, with 225 to 300 mg per 100 grams. To get a 10 mg dose as used in a clinical trial by Prof. Harald Hoensch of the University of Frankfurt, you would need to take one tablespoon of raw chopped parsley per day. Or you could sprinkle a small amount of dried parsley into your food. Other sources of apigenin include grapefruit, peppermint, thyme, raw celery, and rutabagas, as well as chamomile flower tea. When you begin to add parsley to your meals, here’s a tip: much of the vitamins and volatile compounds are lost during cooking, so eat it raw or add it at the end of cooking, right before serving. Parsley has some powerful cancer-fighting potential, but its healthful properties don’t stop there. The apigenin that is so abundant in parsley has been found to have remarkable anti-inflammatory and antioxidant properties as well. Plus, parsley is a rich source of chlorophyll and fiber and also vitamins A, C, and E, as well as beta-carotene, lutein, cryptoxanthin, zeaxanthin, and folate. It also has more vitamin K than kale, with just 2 tablespoons of raw parsley containing 155 percent of the recommended daily amount. And eating a bit of fresh parsley after your meal will freshen your breath naturally. So do you have a whole new appreciation for this herb? Will you include parsley in your diet as more than a garnish? The benefits of parsley are far-reaching. And once you learn how to use it, you’ll find it can be pretty easy to enjoy. Sprinkle some on top of this Indian cauliflower rice bowl or this oil-free daal soup. "CANCER NOT JUST BAD LUCK"
"Very timely article.There are so many implications to the subject. The appalling procrastination about compiling a list of the endocrine disruptors at the European Commission that has held up legislation for more than a decade. See the film of Stephane Horel, in English called Endocrination. https://www.youtube.com/watch?v=6ks5OSVDl00, in which it becomes clear that it is pressure from the chemical industries lobby that is preventing the correct labelling (or banning) of these products. For anyone who wants to understand the process by which industry prevents legislation to protect us against toxic products, read the book by David Michaels "Doubt is their product". Finally, try to see the Canadian film "Pink Ribbon Inc." or read the book by Samantha King "Pink Ribbons, Inc: Breast Cancer and the Politics of Philanthropy" which is an astonishing study of the breast cancer "industry" in which the same people who give you breast cancer, sell you the cure. I am being slightly facetious here, but please see the film or read the book, and listen to what breast cancer sufferers say about the cancer charities, who are completely uninterested in the cause of cancer but very interested in the next pharmacological money spinner. Finally, it goes without saying that the rate of childhood thyroid cancer in Fukushima prefecture is now 230 times normal. Still, the nuclear industry and the Japanese government claim there is no "provable"link to radiation. http://www.fairewinds.org/nuclear-energy-education/cancer-on-the-rise-in-post-fukushima-japan"
About 3 out of 4 people with NPC complain of a lump or mass in the neck when they first see their doctor. There may be lumps on both sides of the neck towards the back. The lumps are usually not tender or painful. This is caused by the cancer spreading to lymph nodes in the neck, making them larger than normal. Lymph nodes are glands or organs that contain collections of immune system cells that are found throughout the body. Normally, they are smaller than the size of a pea. Ear infections are common in children, but are less common in adults. If you develop an infection in one ear and you have not had ear infections in the past, it is important to have a specialist examine your nasopharynx. This is especially true if you don't have an upper respiratory tract infection (like a “cold”) along with the ear infection. Many of the symptoms and signs of NPC are more often caused by other, less serious diseases. Still, if you have any of these problems, it's important to see your doctor right away so the cause can be found and treated, if needed. My oldest friend, someone I knew since chidhood perished from a brain tumor. Barb, I'm so sorry that you lost such a dear old friend to this illness. They are irreplaceable. Your article on NPC made me remember to mention that there is no blood-brain barrier inside the sinus cavity, and for this reason swimming in stagnant ponds is not advisable, as parasites can easily make their way to the brain and other structures in the head. I tried to get her to stay with me for a few months and was going to try and cure her but she went the route of standard medicine. She did some alternative things at first then the docs warned her to not mix the alternative with the standard and she lost her life. R.R. thanks for this info, I didn't know there is no blood-brain barrier in the sinus cavity - yikes! the docs warned her to not mix the alternative with the standard and she lost her life. I didn't know there is no blood-brain barrier in the sinus cavity - yikes! There was a hospital in Los Angeles several years ago that conducted a study of post-mortem brain tissue samples from several schizophrenia patients, and discovered a particular parasite that a number of them had in common. 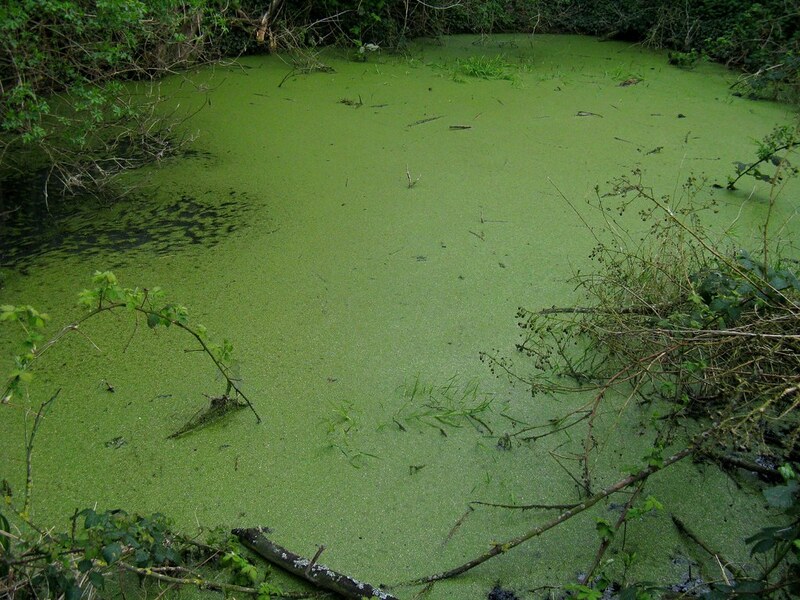 It was a parasite that was common to stagnant water. Not enough to prove causality, but enough to make folks think twice about a dip in the pond. I feel that is probably true of a lot of people,when you try to help them with alternative methods, and they are considered serious by their doctors, the doctors strongly advise them to not do the alternative methods. Conversely, many alternative practitioners say to follow docs orders in general, but add the alternative.